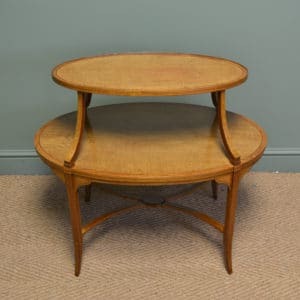 This striking Edwardian Burr Walnut Antique Nest of Three Tables date from ca. 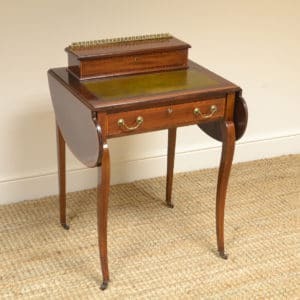 1910 and are in a graduating design that allows them to nest neatly away when not in use. 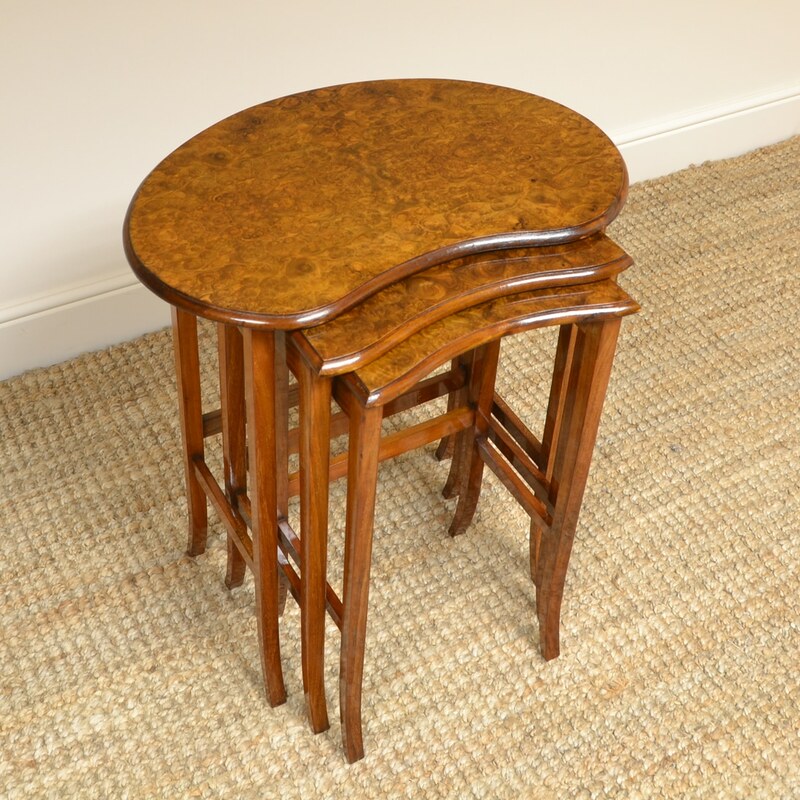 The top table is Kidney Shaped and the tops are in a stunning figured burr walnut with moulded edges, they have splayed legs and cross stretchers. 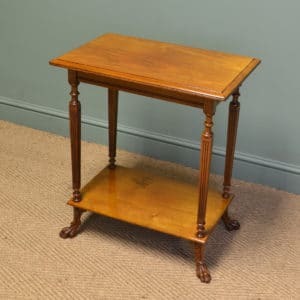 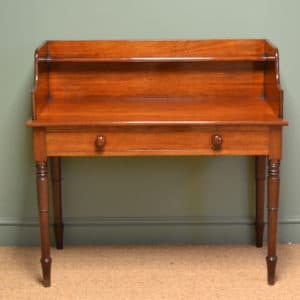 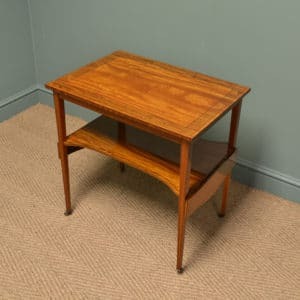 They are a wonderful Golden walnut shade with a striking grain, good patina, is in very good condition and has been beautifully cleaned using a traditional form of wax finishing.